They say it's never too late to come home. 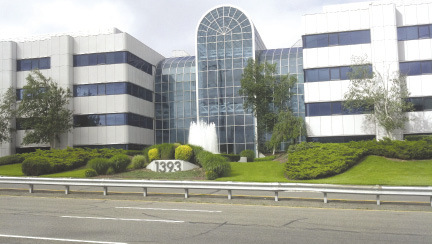 Long-Island-based Matrix Investment Group, after over a decade investing in properties in other states, has returned to its roots by acquiring two Suffolk County properties renamed Matrix Corporate Park. 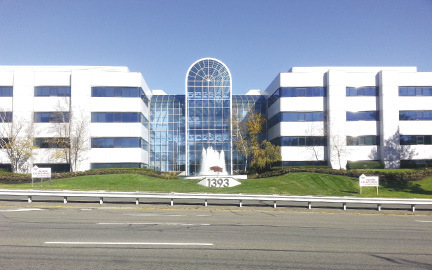 This 400,000 s/f campus spans two formerly separate parks on opposite sides of the Long Island Expressway: Crossroads Executive Center in Islandia and Crossroads Corporate Center in Hauppauge. 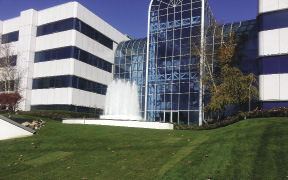 Matrix's partner on the property it calls "the most affordable class A office space on Long Island" is The Crest Group, LLC of Hauppauge. Long Island native and Matrix chairman and CEO Glen Nelson recently reminisced about the early days at Matrix. "One of our first commercial acquisitions was in Suffolk County. After acquiring a few more local properties in the nineties, the returns just didn't work for us any longer. Prices were artificially high, the banks were over financing and everyone was over leveraged, and then the stock market plunged. The Long Island market was more acutely affected than most and it made sense for Matrix to shift our focus and expand across the country." Over the last few years, both interest rates and local commercial property prices have dropped substantially. Nelson has always played the contrarian. Nelson said, "It's an investor's market again and it's the right time to return to the island and apply the expertise we have perfected nationally to this worthy asset." The Crossroads acquisition closed in July and the extensive overhaul of the 13-building complex began shortly thereafter. According to Crest Group president Enrico Scarda, "Upgrades planned for the property are extensive and will total approximately $5 million." The Matrix Corporate Park signature building, 1393 Veterans Memorial Hwy., will be upgraded with a complete main lobby renovation; new leather seating, artwork and lighting; and direct access to the outdoor water fountain and gardens off the main lobby. The transformation is expected to be dramatic. Much of the money is being spent to improve the basic underlying infrastructure of the building. The $2 million replacement of all the HVAC systems and controls is nearly completed. Replacing highly inefficient systems that were 25 years old with state-of-the-art equipment is expected to translate into significant savings for both tenants and owners. "We are especially proud to partner with Crest Group to offer Long Island business executives a premiere property with exceptional amenities in a fantastic location," said Nelson. According to Nelson, the fitness center will be doubled and new equipment is already in stock in preparation for an end-of-year opening. Outdoor improvements will abound throughout the complex with new building faÃ§ades and extensive landscaping. There will be audiovisual upgrades in the 1,600 s/f conference center, which will seat 120 and will be available for rent to the wider business community. The full-line, gourmet cafÃ© is also being enhanced with new dining furniture and conversational seating, as well as an outdoor patio dining area that will be fully completed in the spring. The on-site property management and leasing office, in the lobby of the 1393 Veterans Hwy. signature building, has been open since July. 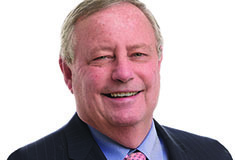 "Commercial brokers are the lifeline to our business," Nelson said. "Whether we are acquiring, divesting or leasing, most of our deals are a partnership with brokers. Our kick-off leasing program includes pay-in-full commissions with incentives." Director of commercial leasing for Matrix, Aaron Smiles, said that the company has already generated 30,000 s/f of recent lease renewals along with over 20,000 s/f of soon-to-be-announced lease transactions. "This property distinguishes itself from the competition by offering elite amenities within the suites: complete with private bathrooms, upgraded carpeting, vision panels, cherry wood doors, and all-wood base and crown moldings as well as private outdoor atriums," said Smiles. All these amenities currently come standard with new leases, at no extra charge. Office manager Sue Simonetti of Active Electronics described her company's reaction to the changes. "We are thrilled with the new ownership. The overgrown atriums were unusable before and now we use them every day. We are never leaving." Active Electronics recently signed a new five-year lease extension. 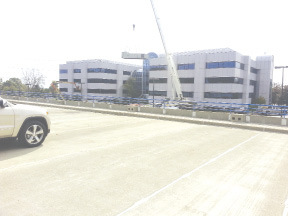 Overall occupancy at the Matrix Corporate Park stands at approximately 80%. Current tenants include Paychex, TransFirst, National Life, Bankers Conseco, Hub International, and Stifel Nicolaus. Available space ranges from 700 s/f to 25,000 s/f. It has been a productive year for Matrix throughout the country. Matrix's chief operating officer, Nicholas Tambakis, recently put it all into perspective. "We have completed in excess of $500 million in transactions in the last six months," said Tambakis. Transactions included the sales of commercial and multifamily properties on the east coast and in the midwest, along with the acquisition of a large multifamily portfolio in Michigan. Chief legal officer of Matrix, Gerard McCreight, Esq., was the lead counsel for all Matrix transactions. "It's quite an exciting time for us," McCreight said. "We worked with sellers and lenders represented by some of the nation's largest law firms and had great success." A website for the Matrix Corporate Park, www.MatrixCorpPark.com, is in development and will go live shortly. Matrix Investment Group was founded in 1993 by Nelson. Nelson shortly thereafter partnered with Richard Nieto (deceased). Matrix is a fully, vertically integrated real estate and investment company. Matrix has diversified real estate investments throughout the U.S. Its current holdings include multifamily residential, commercial office and special purpose commercial properties. Matrix actively services solely its own assets, including property management, asset management, leasing, acquisitions, renovations, and reconstruction. For more information please contact Aaron Smiles at asmiles@matrixrealtygrp.com or 631-406-4919.